Dr. Tom Monfort, a legend in Illinois equine veterinary practice, has announced his retirement this summer. The practice he has owned for decades at 20844 Cumberland Road, six miles southwest of Farmer City, Ill., will continue to serve horse owners under a new name, Midwest Equine. 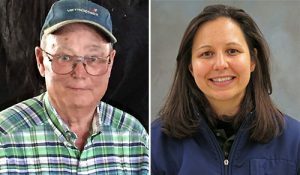 As Dr. Thomas Monfort retires after decades of serving Illinois horses, he is consulting on cases with Dr. Georgean Zyrkowski during the transition to Midwest Equine. Midwest Equine will continue to provide equine veterinary services throughout central Illinois with Dr. Georgean Zyrkowski, an equine veterinarian with the University of Illinois College of Veterinary Medicine, serving as a lead clinician in the field. The practice will also expand its menu of services with reproduction and lameness specialists. Dr. Zyrkowski has been seeing clients at the practice in consultation with Dr. Monfort since mid-April. She is licensed to practice in Illinois and Kentucky, holds an FEI license, and is certified in chiropractics. After earning her veterinary degree from the University of Illinois, she completed a year-long internship at North Carolina State University with Dr. Rich Redding. She has experience with Western and English performance horses as well as racing Thoroughbreds and Standardbreds. 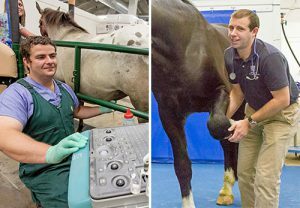 Dr. Igor Canisso, equine reproduction specialist, and Dr. Santiago Gutierrez, equine surgeon and lameness expert, will see horses at the Midwest Equine location near Farmer City, Ill., as well as at the University of Illinois Veterinary Teaching Hospital. Equine specialists from the College of Veterinary Medicine will also see patients at Midwest Equine. Reproductive services will be offered by Dr. Igor Canisso, who is a diplomate in the American College of Theriogenologists as well as the European College of Animal Reproduction. Dr. Santiago Gutierrez Nibeyro, who is double boarded in veterinary surgery and sports medicine rehabilitation, will conduct lameness clinics there. Farrier services will continue to be offered at the practice by Steve Sermersheim, who is a certified journeyman farrier with a therapeutic endorsement from the American Farrier’s Association and an associate of Great Britain’s Worshipful Company of Farriers. 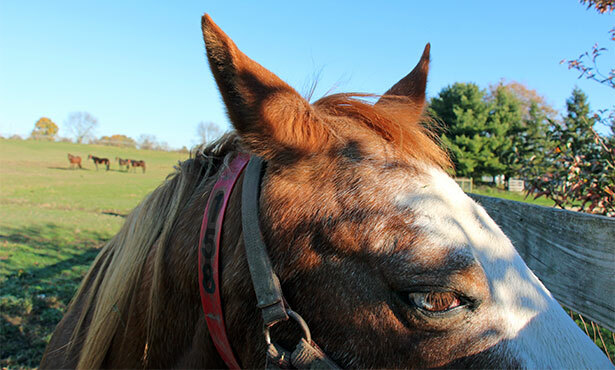 For many decades, the College of Veterinary Medicine has operated an ambulatory (on-farm) practice to care for horses and other farm animals, based out of its Veterinary Teaching Hospital in Urbana. Through the Farmer City practice, the college is seeking to expand its equine caseload to support the teaching and discovery mission of the college. Steve Sermersheim, who joined the staff of the Veterinary Teaching Hospital in 2017, will continue to shoe horses at Midwest Equine one day a week. “To ensure adequate student exposure to equine cases and to allow equine faculty members to pursue their areas of interest, we have been exploring opportunities to strengthen our presence in the equine industry,” said Dr. Denny French, who heads the college’s Department of Veterinary Clinical Medicine. As a first step in broadening access to equine patients, the college last year added a farrier service headed by Sermersheim, who has long had a presence at the Monfort practice. The Veterinary Teaching Hospital has state-of-the-art imaging and surgery capabilities and specialists in internal medicine and emergency and equine critical care. 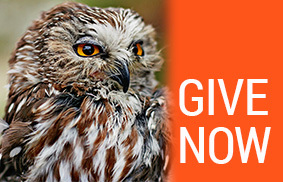 To learn more about the Veterinary Teaching Hospital, call 217-333-2000. To make an appointment with the doctors at Midwest Equine, please call 309-928-2127.